Mahindra has dropped the price of the base variant of the 2018 XUV500 facelift by Rs 37,000. The SUV now carries a price tag in the range of Rs 12.32 lakh to Rs 18.98 lakh (ex-showroom Mumbai). It's still available with a choice of five diesel variants and a petrol automatic variant, but the diesel variants’ nomenclature has changed to W5, W7, W9, W11 and W11(O). Here's a detailed breakdown of its prices. Now that we know the prices, let's get cracking with what you get with each variant and whether it’s worth its price. The W7 variant strikes a perfect balance between needs and wants. It gets comfort and convenience features that enhance your in-cabin experience such as passive keyless entry, start-stop button, steering-mounted controls, climate control. While the LED DRLs, rain-sensing wipers, ambient lighting and chrome inserts on the grille serve as reminders that the XUV500 is a premium SUV. Then there’s the bigger 7-inch touchscreen infotainment system which gets a wider range of connectivity options and features. The W7 costs Rs 1.26 lakh extra than the W5, but the premium is worth spending considering the sheer number of additional features it gets. We’d have still liked to see alloy wheels, telescopic steering and power-foldable outside rearview mirrors in the W7. While these are available in the automatic variant, it commands an additional Rs 1.20 lakh over the W7 manual variant. It gets added safety features, an electric sunroof, voice message system and tyre pressure monitoring system with 8-way driver’s seat adjust, which are all good to have but not exactly necessary. But at a price premium of Rs 1.65 lakh, the W9 is just overpriced and doesn’t offer as much value as the first two variants. Instead, you should extend your budget and look at the W11 variant. The XUV500 facelift’s W11 variant gets all the bells and whistles that you’d expect from a premium SUV for Rs 1.20 lakh extra. Shell out another Rs 25,000 for the W11(O) version and you’ll get the bigger machine-cut alloy wheels. Spend another Rs 1.10 lakh and it will get you the go-anywhere ability of an AWD system. Buying the W11 variant does make sense since it gets six airbags as well but the same can’t be said for the Optional variant since it gets just differently styled alloy wheels, which may not be on the shopping list of every buyer. The Petrol G AT variant is only available with a 6-speed automatic transmission and shares its entire equipment list with the W7 variant. Mentioned above are the features that are additionally available on the G variant. In our opinion, the XUV500 W7 offers the most value, combining a great blend of features at a competitive price. If it's the petrol XUV500 you are looking at, there's only the G AT to choose from. Interestingly, the claimed efficiency for both petrol and diesel variants is the same so it may not pinch your wallet much. So those with very less running can pick the G AT variant. 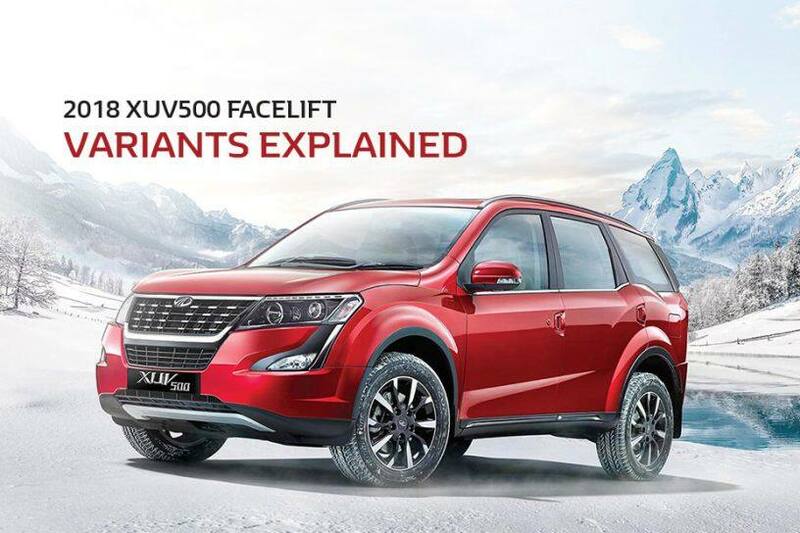 Before signing off, let’s look at the XUV500’s specifications. Waiting Period For Mahindra Cars: Will You Get Delivery By Navratri?